The Return of The X-Files? FOX Says Yes! Anderson and Duchovny could return to their famous alter-egos! Thanks to the success of 24’s limited run reboot last year, FOX have begun to look at other favorite shows from their back catalog that could also do with a comeback including one small show about little green men. 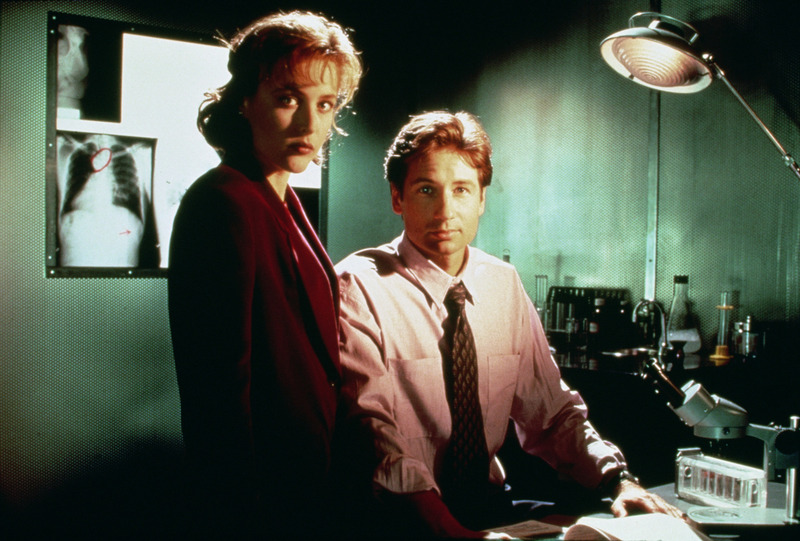 Fox TV Group chairman Gary Newman has confirmed that talks have begun to look at bringing back sci-fi hit The X-Files starring David Duchovny and Gillian Anderson – who apparently are all interested in revisiting the characters that kick started their careers (X-Files creator Chris Carter included!) Another Fox TV Group chairman, Dana Walden, also confirmed that if and when the reboot was to happen, it will be with it’s two main leads in Duchovny and Anderson but was quick to state that no ‘creative’ talks have taken place. With David prepping for his new series Aquarius and Gillian working in the UK (The Fall) and on the new series of Hannibal timing will be the biggest player in ensuring the project would have any chance to move forward. The news comes off the back of whispers of a possible limited reboot for Prison Break, but FOX have stated they were in fact, just whispers….for now. The X-Files became an instant cult classic when it premiered back in 1993, running for more than 200 episodes over nine seasons before ending in 2002. IWhat do you think? Would the X-Files work in a limited series format like 24? Sound off in the comments below! You know when your’e starting to feel old when a show you watched every episode as it went live to air is celebrating it’s 20th anniversary. That’s right, Sci-fi cult classic series The X-Files first went to air, in the USA, this very day 20 years ago! I actually remember not knowing much about the show when it first started. I was 13 years old and happened to catch a few previews for a new show about FBI agents who hunted aliens and investigated cases of the paranormal. At first, I honestly believed it was based on actual real life cases (possibly because I was a big fan of Unsolved Mysteries which often featured stories of the paranormal). I was (and still sort of am) a big X-Files nerd. While I couldn’t roll out episode titles or even remember scenes of dialogue, I can remember having Gillian Anderson plastered over a wall in my bedroom and bought the X-Files trading cards, poster books and soundtrack. I stood by the show when Duchovny left and made way for Robert Patrick and even when Annabeth Gish became a regular and the show took a turn into more political than paranormal areas, I was still there. Trying to think of favorite episodes…I know I was more into Scully story lines than Mulder ones. As a fan, your’e either team Mulder or team Scully and I was always, right from the go, team Scully! 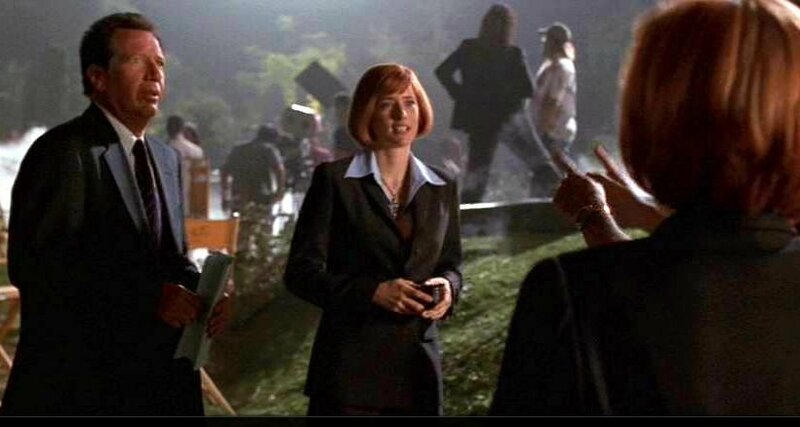 As far as single episodes go, I will always have a soft spot for Hollywood A.D (Season 7 episode 19) which saw a movie made about a case Mulder and Scully were investigating and seeing Gary Shandling and Tea’ Leoni play the big screen versions of our favorite paranormal sleuths. I still remember a scene in which Scully says to Mulder something to the effect of “I think she likes you” in reference to Tea’ Leoni (playing herself who is married to David Duchovny). 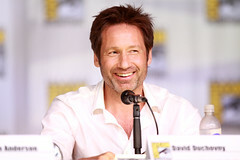 The show ran for nine seasons, made stars out of leads David Duchovny and Gillian Anderson and won numerous awards and a legion of fans that still to this day (the show finished up in 2002) still adore the show and the on-screen chemistry between Duchovny and Anderson and like many shows, this on-screen chemistry created a lot of will-they-won’t-they discussions. It wasn’t until the first X-Files movie (Fight the Future) that we finally got to see Mulder and Scully show their true feeling towards each other – that was until that damned bee stung Scully rendering her unconscious. I’m pretty sure you could hear a collective “UGGGGHHHH” when that scene played out in cinemas. “Well they (Mulder and Scully) were married the last movie,” Duchovny said, referring to 2008’s The X-Files: I Want to Believe. “Were we actually married?” Anderson asked. “I believe so. That was my impression,” he responded. According to creator Chris Carter, all that they are waiting on is Twentieth Century Fox to show interest in creating a third movie. The X-Files complete series 1-9 plus both movies are all now available on DVD at all good retailers.